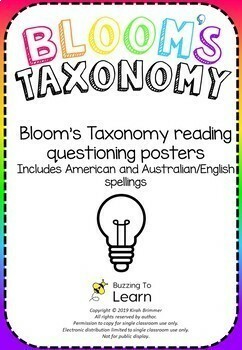 These posters can be used as a display in your wall or in your reading corner to help prompt students to answer higher order thinking questions. 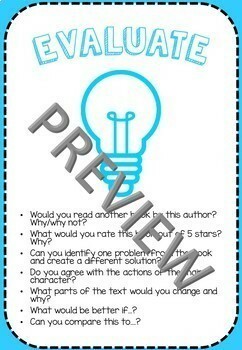 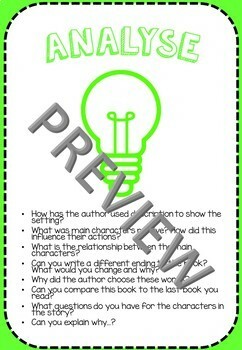 Alternatively print smaller to stick into reading workbooks. 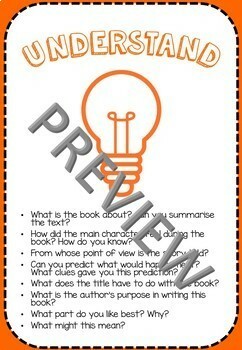 I hope these posters brighten up your room and prompt questioning with your students.